great layout and that hat is too cute! 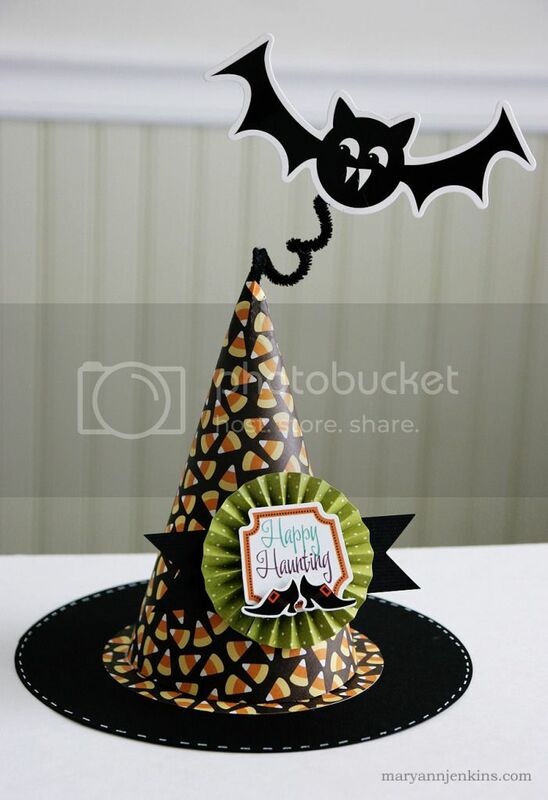 Your witch hat is nothing short of amazing, and you make it look so simple! I will have to try that!!! Thanks so much for the idea. Oh, Halloween is right around the corner! Your projects are making me itch for fall. :) Love that hat! Awesome witch hat, Mary Ann! 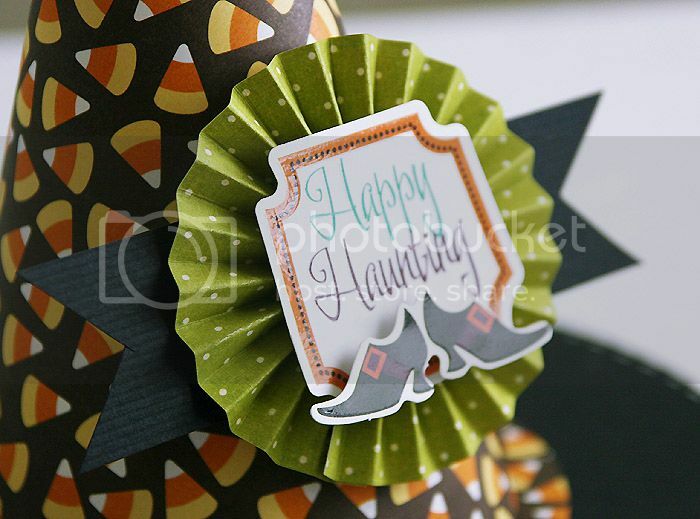 I love the chevron technique you used on your great layout too! Love the hate. Very fun. And what a great Harry Potter your son made. so cute, I love them both! I love the hat decor, so cute! That hat is just terrific! Oh, that hat just couldnt' be cuter! Darling. 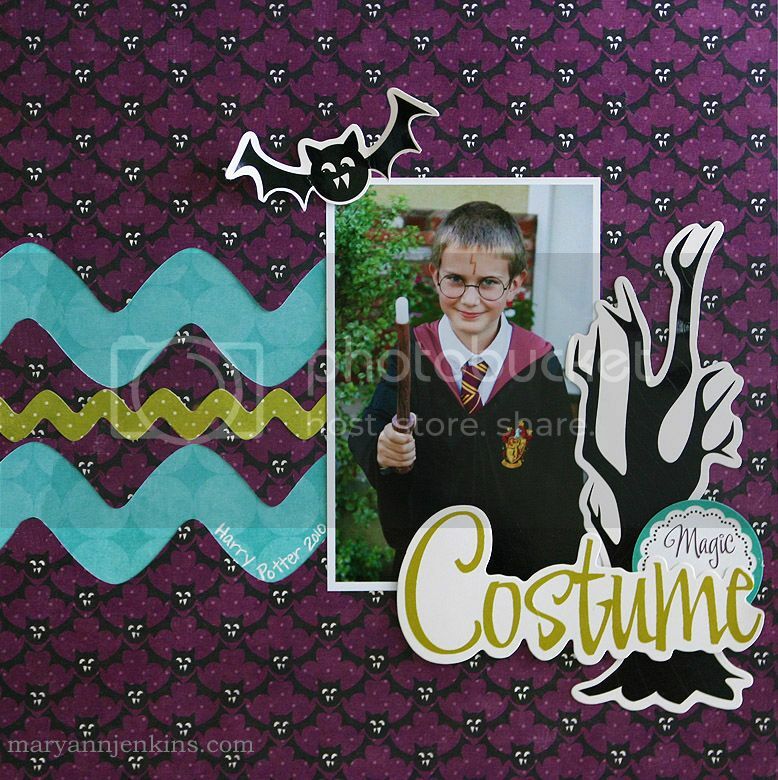 I love these Halloween projects. Those zig zags on that layout are awesome!